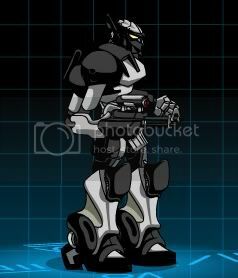 Description: An upgraded version of the GEARS University starter mech. Now with heavier armor and more energy. Thanks to Vaseline28 and Elnaith for original entry, TreadLight and Ryu Viranesh for reformat. 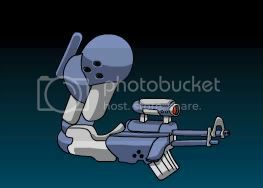 Image: Refurbished Machine Gun, Attacking! Thanks to GhostBear5 and natunasgrate for energy, TreadLight for hits, hockeyman11 for image, Ladien and Z.324 for correction, Azami for reformat.